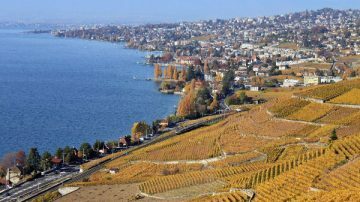 Several savings deals make tickets for CGN pleasure boat cruises on Lake Geneva in Switzerland cheaper. Day tickets, half-fare and junior cards are generally the cheapest deals with best savings for families. Pleasure boat cruises on Lake Geneva is a fun and relaxing way to enjoy the beauty of the Lac Léman region of Switzerland and France. Several ticket deals are available to reduce the cost of excursions on lake boats. Children can go for free with the Junior Card while adults can often save with the Swiss transportation system half-fare card. The Mouettes passenger ferries in Geneva city is only the price of a standard municipal bus fare. CGN Lac Léman has a monopoly on pleasure and transportation boats cruising on Lake Geneva between Switzerland and France. However, all ticket prices must be approved by local authorities, especially as the neighboring cantons are actually subsidizing the running cost of the pleasure boats, which are very important for the local tourism sector. 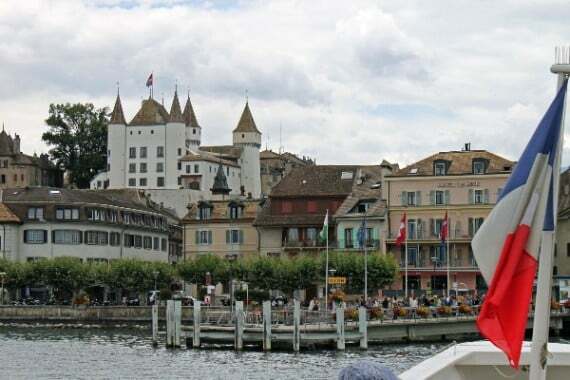 Tickets for Lake Geneva pleasure boats may be bought from CGN ticket windows at landings in larger cities and towns, or on board – the prices are the same. However, tickets must be puchased before boarding for the ferry boats between Lausanne and Evian, Lausanne and Thonon, and Nyon and Yvoire. Cash and all major credit cards are accepted. Tickets are also available through most outlets selling Swiss train tickets if the cruise is an extensions to a railway journey. It is also possible to buy most tickets and make boat restaurant reservations online from CGN. Second and first class sectors are available on most Lake Geneva pleasure boats. On longer cruises, and in fine weather, first class is worth considering, as the outdoors areas for second class passengers are limited and not on the upper decks. Cruise fares are the same irrespective of the boats used. The large Belle Epoque steam boats are particularly pleasant – timetables indicate when these boats are used. Tickets for CGN boat cruises can be bought in either Swiss franc (CHF) or euro. Swiss franc prices are currently slightly cheaper but the advantage depends on exchange rate movements in between the rebalancing of prices. At first glance, Lake Geneva boat tickets seem fairly pricy but many discount tickets and savings options are available. Return tickets are somewhat cheaper than one-way tickets – the savings is around 15%. CGN one-day pass / La carte journalière CGN or Evasion is CHF64 (CHF90 first class) and valid for all CGN boat travel for a day. The day pass is cheaper than for example Geneva-Lausanne return. The pass is only valid on boats – it is not possible to return for example by bus or train using the CGN pass. Family day tickets are excellent value and not always very well advertise so ask for it when buying at ticket windows or search for it specifically if buying online – it is not always available and sold in all seasons. It comes in two versions: one adult with maximum four children or two adults with up to three children. Both versions cost the same: CHF96 in first class and CHF70 in second class. If at least one adult has a half-fare card, the price is CHF10 lower for second class and CHF23 cheaper for first class. A child is required to buy a family ticket – it may not be used by two adults traveling only as a couple. Same-day return tickets are usually around 15% cheaper than two single tickets. The Junior Card and Children Co-Travelcard are accepted – these cards allow bearers to cruise for free with their parents or grandparents. Children 6 to 16 pay half price on all tickets, if not qualifying for the junior or children co-travel card savings. Children under 6 years old cruise for free. The Swiss Boat Pass is accepted but most travelers will do better with the Half-Fare and Junior Cards. International Swiss Transportation System tickets and passes are accepted on CGN boats. Groups of ten or more receive discounts of 20%. 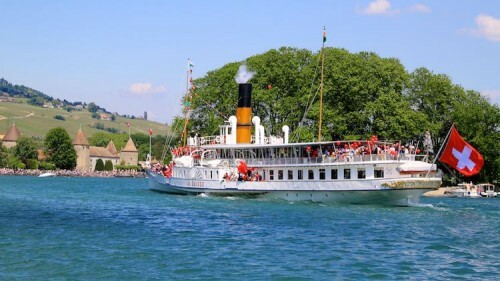 Bicycles may be transported on most Lake Geneva pleasure boats subject to space restrictions – a day ticket is CHF8 per bicycle. Bicycles are not allowed on the smaller Navibus boats. Season tickets are available for long-stay visitors and local residents. 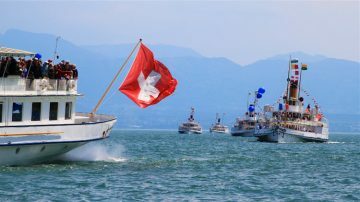 Discount combination tickets are available for CGN boat cruises and admission to some sights in the Lake Geneva region. the offers depends on the season but usually include 15% discount at Chateau de Chillon, 15% discount at the Garden of Five Senses in Yvoire, 20% off on the Red Cross Museum in Geneva, 20% off the Palais Lumière in Evian, and 25% off the Léman Museum in Nyon. By tickets for the Swiss Vapeur Parc in Le Bouveret at CGN ticket windows for 25% off. 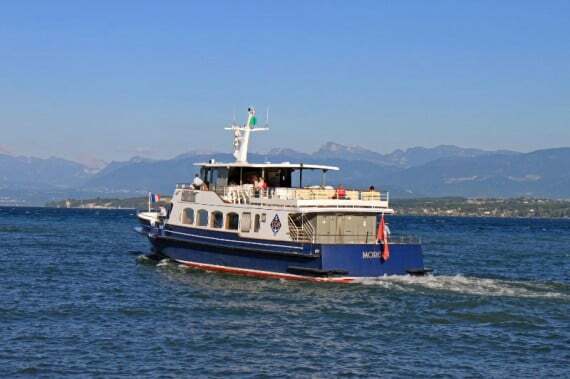 The cheapest cruises on Lake Geneva are on the small Mouettes passenger ferries that cross the lake in Geneva Ville. 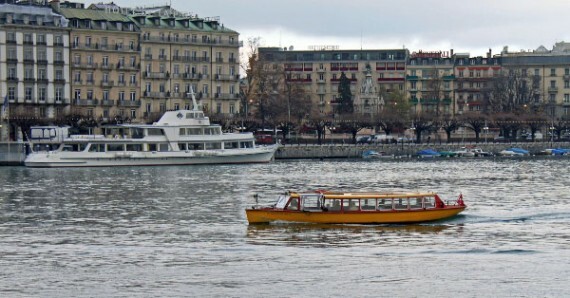 These small boats require only a standard Geneva Unireso public transportation ticket. Apart from being fun, especially for children, these boats actually provide a fast way to cross the lake without having to make a long detour by tram or bus. The CGN summer schedule is the busiest for Lake Geneva pleasure cruise boats. During the shoulder season (spring from mid-April to mid-June and autumn from mid-September to mid October) boat cruises are available every day but the weekend schedule is much busier. During winter, sailings are limited to a few routes on weekends.